Google has always been committed to making World Wide Web a secure platform for users. It is no wonder that much emphasis is always laid on using HTTPS rather than HTTP. Now, to encourage this, the search engine giant has announced a great deal of happy news for website owners and especially for SEO teams across the world. While the earlier perception was that having two sets of modules such as HTTP and HTTPS might divide the link building, Google has put the debate to rest, once and for all. If you opt to move from HTTP to HTTPS there would not be any loss of link authority. This way all your existing inbound links will be diverted to the secure network of HTTPS. If you are still using the HTTP version of URL then it is high time you make the switch. 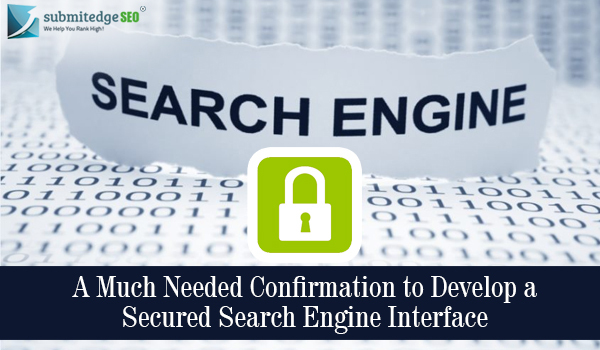 Every website that gets high ranking on search engine results is using the secure version which only helps build trust among online users. Google wants to make information provided by search engines to be risk free. This probably can be your way to be a part of this much required change that users need. Google will take note of cumulative inbound links of both, the HTTP and HTTPS version of a web page in order to make sure that all the important information is secured without any loss. How is HTTPS a secure network? When you use HTTP you are exposing your browsing activities to threat. No one wants their personal details being hacked. This is what HTTPS basically safeguards a user from. Within a HTTPS network only the browser and the server are able to decrypt the information that is being exchanged. This way you remain safe from prying eyes and go on with accessing websites without any sort of threat. The most that an intruder can access is only about the exchange taking place between two IP addresses. HTTPS (Hypertext Transfer Protocol Secure) makes use of either of the secure protocols such as SSL (Secure Socket Layers) and TLS (Transport Layer Security) to encrypt the information being sent to and fro. There are basically two sets of keys. One is a private key which is with both, the website owner and with the web server and the other is public key which is provided to anyone who needs to decrypt information encrypted by the private key. While moving from HTTP to HTTPs will help websites get indexed by crawlers, it does not mean that a website ranking will improve. Googlebot when going through websites will give preference to the HTTPS version over HTTP and index the secure version of a URL. Link authority is one of the most vital features of SEO services. The concern over loss of link authority is justified. Generating quality back links takes a lot of effort and skills to reap rewards. Now, hopefully with this announcement, a website handler who has inhibitions in moving over to HTTPS can easily move to a safer and secure platform. This will benefit not only the users but also enhance the productivity of an online service provider.